I’m a 30-something, who occasionally thinks he’s some kind of writer. I live in Perth, Western Australia with my wife (who I refer to here as Wife because she likes anonymity) and our son. This is me. This is not Perth. This blog isn’t about anything in particular because I know I’d get bored addressing one topic over and over again. Instead it’s about whatever is in my head at the time, or something I’ve found interesting in the past. What’s the deal with the blog title? It sounds rude. Yeah I know. That wasn’t really my intention though. Anyway, it’s explained here. What’s with all those cartoon characters in your header, and why do you have a gravatar pic of a rat? Explained here. Your blog hasn’t been updated for ages. Is it actually still active? Probably. Or maybe not. I don’t really know. Where should I start? I reckon the Best Of page is as good a place as any. Do you have any other blogs? Why yes! Please head here for my ‘A Song a Day’ blog where I post … umm … a song a day. Do you a place for your Twitterings? Not anymore. 7 Responses to What’s this all about? I’ve nominated you for the Liebster Award. There are no judges and no special rules, and no trophy, you were simply chosen. And we all like to be chosen every once in a while, don’t we? This award is what you want it to be. 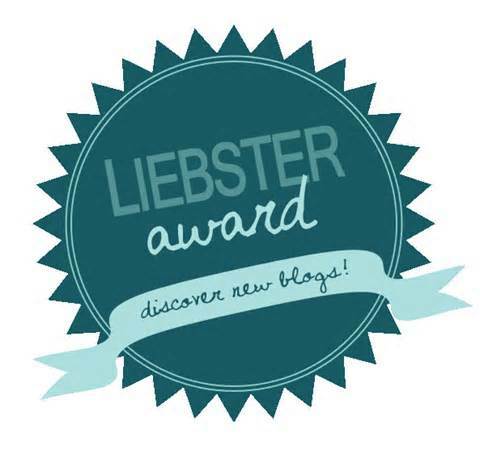 Your mission, if you chose to accept it, is to go to my blog post titled “The Liebster Award ~ Wow, it’s a little bit of work.”, read it, follow the rules and pass along the love. Go ahead, do it! Thank you again for your help proofreading the first chapter. I will be working on your doodle tomorrow. Thanks. Yeah that’s true on both sides. Guess you just have to decide what would interest you more. To be honest, I feel like the biggest factor in gaining a following is posting regularly. I started another blog where I just post a Youtube link and write something very briefly, but I do it almost every day, and it’s already overtaken this blog in terms of number of followers. So you want to make sure you’re doing what you enjoy otherwise you will lose steam quickly and you won’t post much (if at all) and you’ll never have time to build up much momentum.